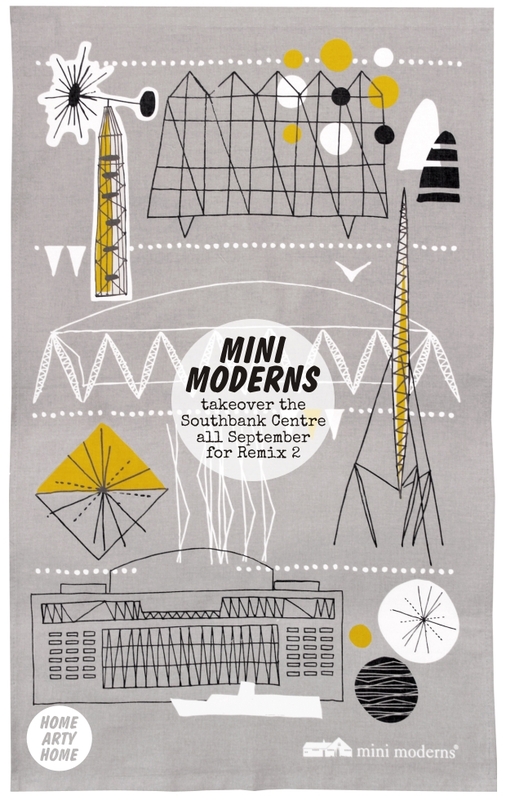 During the entire month of September, Mini Moderns will be taking over the top floor of the Southbank Centre Festival Terrace shop to curate a unique product mix, launch new Mini Moderns lines from their 2014/15 Hinterland Collection, and host a range of talks and guest appearances. Remix 2 focuses on items that the design duo have created in partnership with Southbank Centre over the past few years – particularly Net and Ball, Concert and Festival patterns. Expect to see new colourways and product lines, including totes, mugs and glassware, plus lampshades based on the Edinburgh Weavers 1951 Sound Curtain fabric, all exclusively available at the Festival Terrace shop during their September residency. 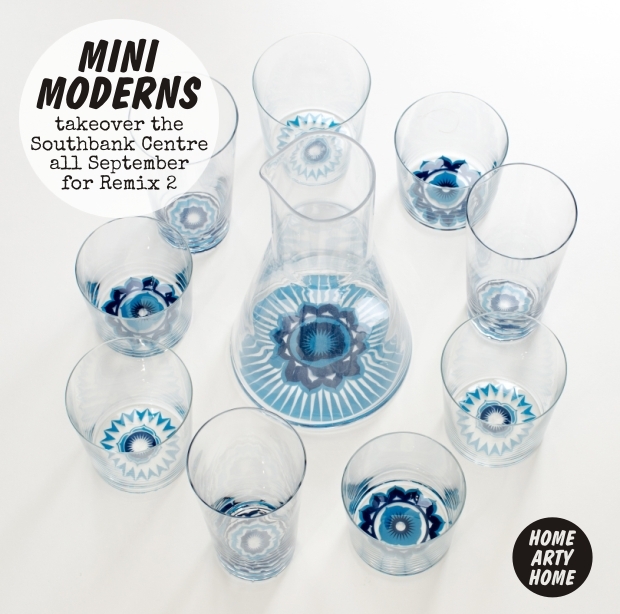 Mini Moderns have curated and commissioned work by both new and long-standing collaborators of the brand, including Matt Sewell, Rimmington Vian, Galapagos Design and London Kills Me. Latest collaborator, Stumped Studio, has created a unique collection of work using the range of Mini Moderns Environmentally Friendly Paint. 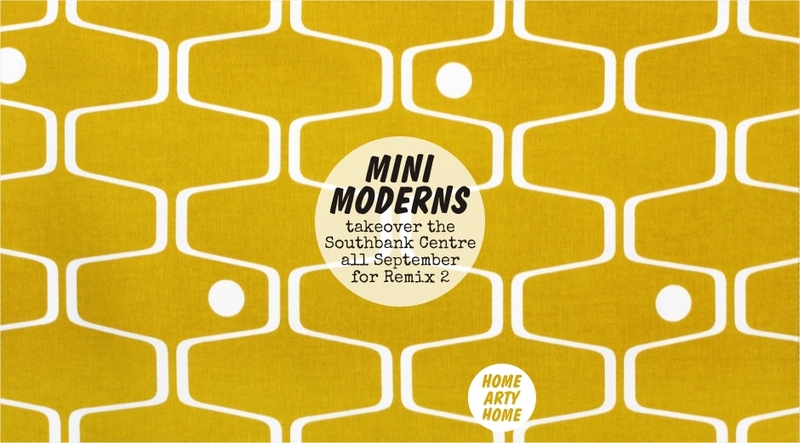 At the launch evening on Wednesday 3 September, artist Matt Sewell will give a book signing to coincide with the launch of a new wallpaper collaboration between him and Mini Moderns. During the following two weeks, Southbank Centre members will have the opportunity to attend a talk by Lucy Mortimer, founder of furniture brand Galapagos Design, on ‘The History of the Cocktail Chair’, accompanied by 1950s cocktails. 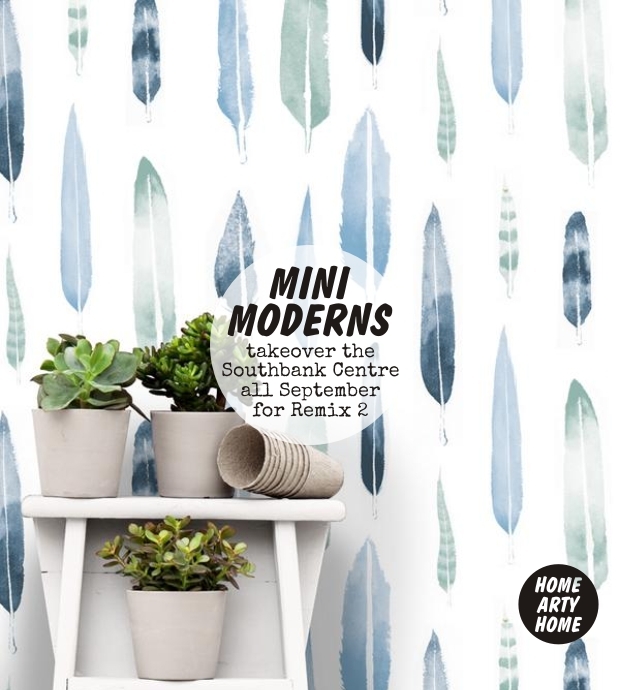 Mini Moderns will also be offering an introduction to their work, sharing stories behind their wallpaper designs, and giving an insight into their mid-century influences and inspirations. 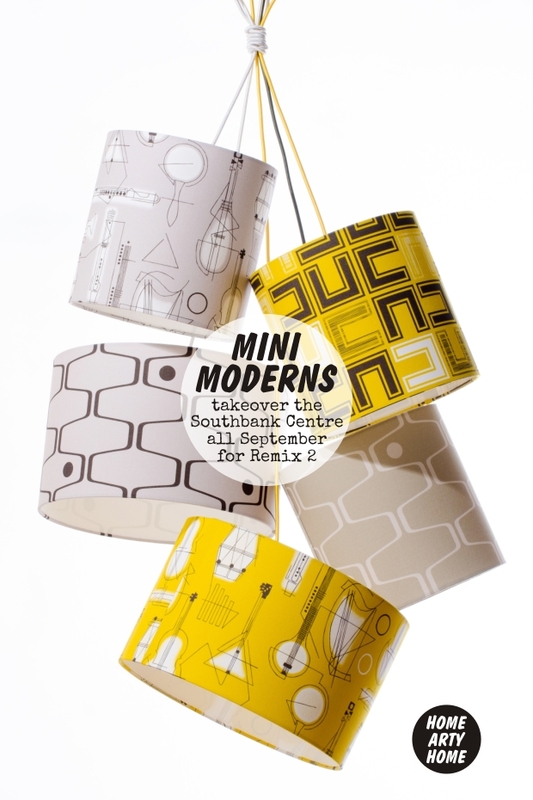 The Mini Moderns event runs throughout September 2014, from the 1st to the 30th.